Posted July 31st, 2013 by admin & filed under Dental Services, Dentist. Posted July 29th, 2013 by & filed under Dentistry. Posted July 23rd, 2013 by & filed under Dental Care. Posted July 19th, 2013 by admin & filed under Dentist. Posted July 15th, 2013 by & filed under Dental Services. Posted July 12th, 2013 by & filed under Dentist. Posted July 10th, 2013 by & filed under Dental Care. As parents we provide our children with a safe and healthy place to live. We give them healthy food to eat and we help them to participate in healthy activities. 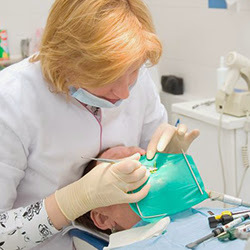 One thing that we all to often forget is to provide a good Family Dentist. Posted July 6th, 2013 by & filed under Dental Care. Posted July 4th, 2013 by & filed under Dental. Posted July 2nd, 2013 by & filed under Dental Services.